Vikasa means progress, Vikasa means development! 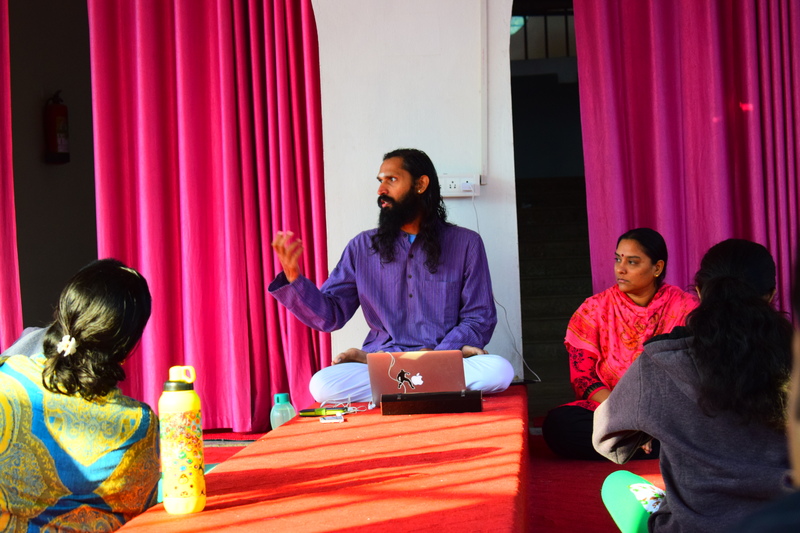 Vikasa 2016 : A Leadership program for the Youth, with an Indic approach was jointly offered by Anaadi Foundation and Vision India Foundation at Rishikesh, Himalayas in December 2016. 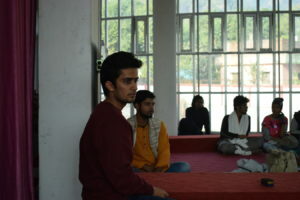 The program blended insightful sessions, hand-on activities, local outing and self-reflection and meditation. 55 young people from different parts of the country, eager to make a difference in the society joined us for the retreat program. In this article, we set the context of the program and share the experiences as shared by participants Anuva Agarwal, Naresh Madhur and Niharika Mathur. Swami Vivekananda said “Supreme value of youth period is incalculable and indescribable. The way in which you utilize this period will decide the nature of coming years that lie ahead of you. Your happiness, your success, your honor and your good name all depend upon the way in which you live now, in this present period. Remember this. This wonderful period of the first state of your life is related to you as the soft wet clay in the hands of the potter”. Young people are filled with energy and enthusiasm. This energy and enthusiasm when put to the right use can transform the lives of the individual, the society and nation at large. Adopting the right frameworks and worldviews can help them bring about this transformation. What they need are tools that help them act with dynamic and vibrant energy that is rooted in inner stability. 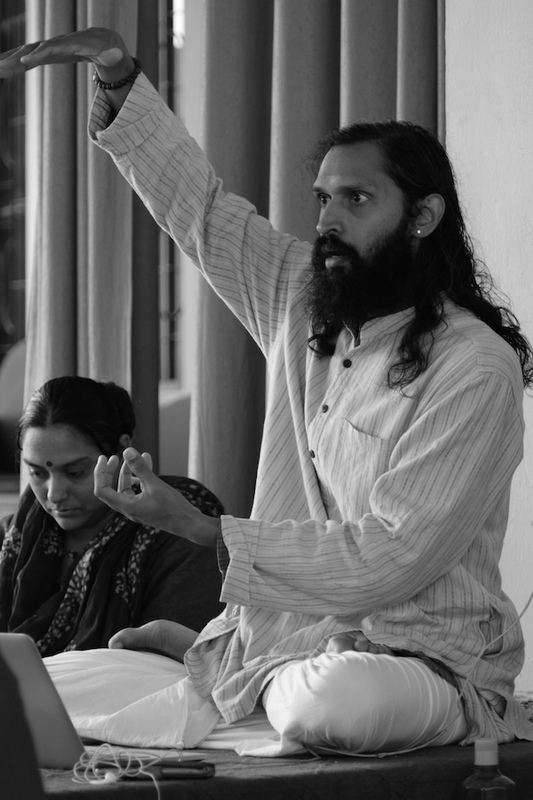 The Indian tradition offers us frameworks and tools through its well developed philosophies, knowledge systems and integrated lifestyle practices. 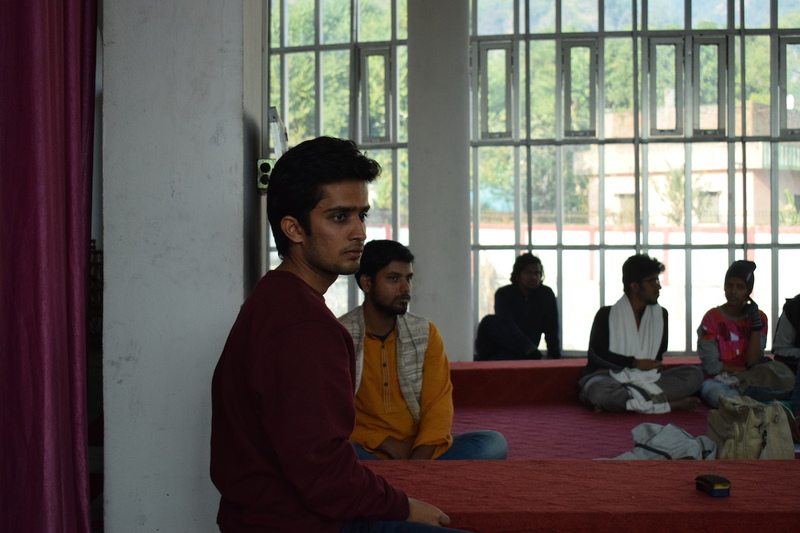 This youth centric retreat, with an Indic approach, was designed to provide young people with the mental tools to awaken their leadership potential. Leadership is not just to do with leading a team of people but developing a sense of ownership in whatever one takes up. This retreat focused on enabling people to imbibe the qualities that make for a true leader: compassion, vision for the larger good, a sense of ownership, self-reliance, energetic action, decision-making with clarity, inspirational stewardship and self-poise. The day started with dynamic Yoga sessions. 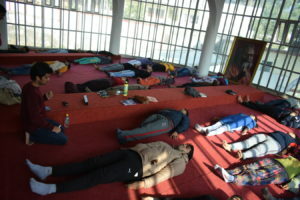 The Yoga sessions helped the participants to cope up with the chilly winters of the Himalayas. The morning sessions had insightful session by Shri. 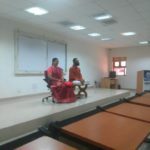 Adinarayanan and Smt. Smrithi. 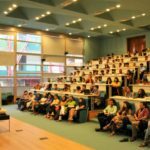 With the Mahabharata woven into the fabric of the sessions, a wide range of topic including Education, Health, Economics and Warfare were presented. 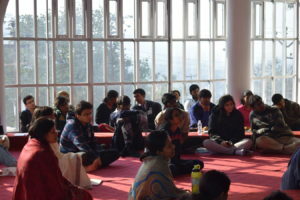 The post-lunch sessions, conducted by VIF, gave the participants an opportunity to reflect on nation-building and their role as responsible citizens. 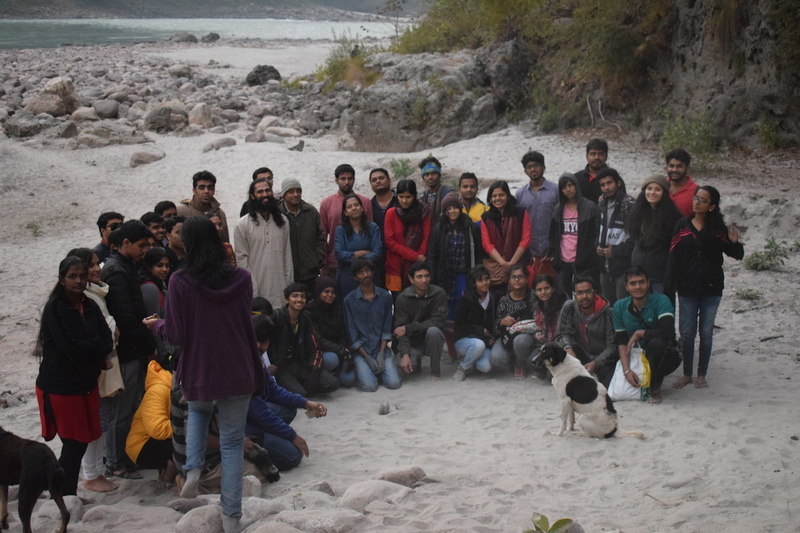 Visits to Vashista Gufa and Ganga Arti gave the participants a taste of the beauty of Rishikesh. Sessions by Vision India Foundation, conducted by Amanji, were very informative and insightful. They dealt with governance, office hierarchy structures, education, bureaucracy and in a much broader sense, nation-building. As a result, many students came to know about the nuances of functioning of the government and their responsibilities as a citizen. We discussed about ashtalakshmi (eight forms of Lakshmi) and ikigai (the reason for being), and it required deep assessment of oneself. 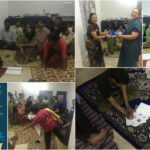 Activities like obituary writing, yoganidra (deep sleep meditation) and group presentation for concepts to analyze GDP helped in gaining a perspective on our role in shaping the nation. A person being beautiful, as far as I was concerned back then, was an intuition based on appearance and character, and what makes a person beautiful couldn’t be written down, simply because it is an understanding. But Adi sir explained how it actually is based on appearance and character, but it isn’t just an intuition. Physcially, each body had dimensions based on its palms and in perfect proportion. He beautifully brought out the difference between standard units and ratios. More importantly, my thoughts coincided with the fact that beauty, according to wasn’t just Baahyakarana, but Anthakarana also played a very significant role. Actually, the former turns out to be an effect of the latter, making Anthakarana and hence, Anthakaranashudhi of high importance. Adi Sir further elaborated on how Anthakarana is divided into Manas, Chitta , Buddhi, and Aham-kaara. Now, till then, Aham-kaara, as I knew, was bad and one to be eliminated. But as it contrastingly turned out, it was false. Infact, Aham-kaara is required and a balance is crucial. This was one of the most important juices that I got from the trip. So here’s my understanding. Aham-kaara is necessary. A balance, is of utmost importance. What aham-kaara is, or how I have understood it, is as the label that we put into things. The label can be ourselves, or anything that makes us attached to things and possessive about it/them. First, pride does come under it. But it isn’t just the one. Perhaps that’s why there’s a general opinion socially, making “Aham-kaara” an adjective in the negative (Oh man, just introduced the word ‘negative’ without defining it! Excuse me this once please.) Other qualities that comes under it include dignity and confidence. Second, it is important to have a well balanced Aham-kaara. And as it turns out, the Naamakarana, which is the naming ceremony of a child plays a very important role in modelling the aham-kaara. The child’s name is repeated, which though appears to be consciously useless to the child, who is in no way listening to all the visitors whispering his name to him, subconsciously shapes the aham-kaara, with the label of his name. Now, all these rituals seem to be making so much sense. Third, I was never the one who’d be always appreciate when people, no matter how young or old, come telling their accomplishments. But I was being a cause to an imbalanced aham-kaara; especially if I do it to a child. That realisation taught a valuable lesson. An unbalanced Aham-kaara can lead to inferiority or superiority complexes, due to lack or excess of appreciation respectively. A balanced Aham-kaara provides us with realising our ability to look at things at a dynamic perspective, whereas the opposite makes our perspectives unidirectional. This Adi sir explained with the example of how people with balanced Aham-kaara would react to somebody overcoming them in any field. A balanced one would reason out accordingly, and know that he’d have to either try harder, or realise that he is better in a different task; whereas the unbalanced one would simply try to bring the other one down. I’ve mentioned many of things we did in the Ashram, but there were super fun times outside the ashram! A bath in the Ganges! This was one of the prime things to be done. 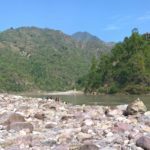 How do I describe my bath in Ganga? Well, things are as special as you imagine them to be. We went via the Vasista-Arundati caves. There, the view was bountifully refreshing! One side was a hanging bridge, the and the rest, huge mountains! Water was a heavenly green and cold. Looked completely pure. It wasn’t so deep, so I just walked in the water. The rocks beneath were too slippery, and hence it was hard to walk without tripping. And now the dip. I wasn’t aware that I was supposed to take a dip in the river. Thankfully my brother let me know about the norm and I followed it. Excited the first time, but dead cold the second and third. I was giggling all the while to myself. I couldn’t feel my body after the three dips! After the dip, I dressed myself back up. 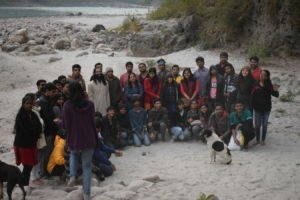 Then we had an evening to go to Lakshman Jhoola where we first floated the lamps into the river, and then went roaming. Spent time tasting the local food items. Man, they were good! I being a spice lover loved most of what I ate. Pani Puri, Vada Pav, and some others that I don’t know the name of. And so, that was it. Our one week of stay at the place came to an end. Remarkable people, with even remarkable memories. What we all carry with us after the trip are the memories, and also, a handful of new but close bonds of friendship. As I see, being close has to do with knowing each other, and not the time that we’ve been together. It’s the extent of how true one can be with those around him. And in the few days and the few questions that we shared, we could hear and know about their views and experiences, from themselves. This catalysed our ‘getting to know each other’. All those moments, from off-topic jokes to in-topic confusions brought all of us united. And, in the end of the last day, hopes of meeting again were shared amongst us all, in the selfies that we took. Back home, I have this feeling that I’ve grown in my views. I could pick up a couple of quick lessons that were always there but never noticed. Perhaps it’s a bit personal to be shared in writing, but I’d love to talk about it. This feeling of ‘wider perspective’ maybe just a feeling, but it’s good anyway because it’s the thought that leads to action. The program concluded with participants sharing their feedback and personal experience of the program.